Enjoy the convenience of a Toyota remote starter or key finder by visiting the Tuscaloosa Toyota Service Department in Alabama for professional installation. Enjoy the convenience of a Toyota remote starter or key finder by visiting the Tuscaloosa Toyota Service Department in Alabama ‐ serving Birmingham, Columbus, and Jasper ‐ for professional installation. 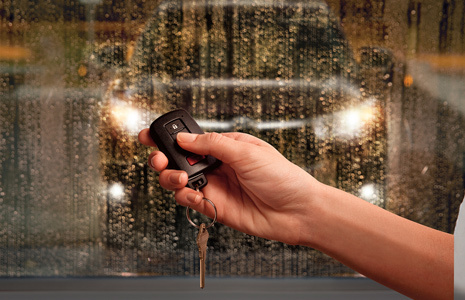 All from an easy-to-use keyfob, the Toyota Remote Start System gives drivers the ability to remotely start their vehicles from inside their homes, workplaces, or anywhere within a designated operational radius. Remote engine starts are especially useful during extreme or unpleasant weather, as they activate your vehicle's preset air conditioning, heat, defoggers, defroster, and temperature settings for a perfectly tempered cabin. Everyone loses their keys. 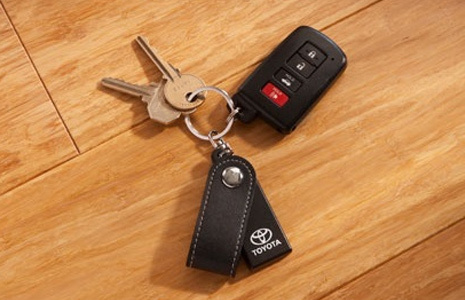 If you find yourself caught in a daily key-finding scramble, the Toyota Key Finder is a small, time-saving add-on that will keep you in your boss' good graces. The system is compatible with all Apple iPhone versions 5.0 and newer, and uses iOS technology to locate your set of keys. Up to eight Toyota Key Finders can be connected to the system, which also comes with a 12-month warranty.